I had a chance to attend the Indiblogger meet at Fortune Park JP Celestial, Race Course Road, Bengaluru on Sunday, 20th Jan 2013. The meet was sponsored by HP and HaperCollins. I also had a chance to meet bloggers with the myriad interests - few familiar faces and many new ones and also win gifts. The blogger meet was to discuss on Fake Vs Original. I would like to pen down my experiences on using counterfeit and original products. When I was a college student, I found the imitation sold at street side very fascinating and affordable compared to the cost of the originals. One could find the named brands such as Gucci, Esprit, Nike and even MAC cosmetics at an inexpensive cost. As time passed by, I have realized the importance of the originals and appreciate their usage. 1. People buy counterfeit products willingly because they are inexpensive or say "affordable" or in plain terms call it "cheap" since they are close to the original product. 2. People are cheated and sold counterfeit products without their knowledge. Some products cannot be identified as fake until you have used them for at least 3 months or even less and then you identify the results of wear and tear. There isn't one particular product where you find counterfeit products. There are electronic items, cosmetics, watches, bags, books, mobile phones, softwares and what not. You name it and they have it! Though the counterfeit products look great and inexpensive at the time of purchase, in a long run, they cannot withstand wear and tear. It also results in loss of money when you are looking for goods in long run. There is no warranty or any sort of guarantee for such products. Most of them are sold street side without any bill commonly called "grey" goods. Fossil watch -> Rs 100. -Might stop working after 3 months. Dior Perfume -> Rs 250. -Damages the fabric color and causes head ache. MAC Foundation -> Rs 300. -Itching on the face and redness. -Sole torn after a run. Shantaram Book -> Rs 150. -Paper Prints missing after 300 pages. Lord of the Rings DVD -> Rs 30. -No updates available and laptop goes for reboot due to the bugs. -Bad quality prints and degrades the performance of the printer. The above outcome can be avoided by using the respective original brands. Originals offers warranty, services when something goes wrong. Most important - you are paying "respect" to the creator/designer who has spent day and night to bring out the ideas into the products to be a huge "Success". Remember, Even those who imitate the originals always fake the best in the market. Then why not buy the original? HP is now offering the ink cartridges as low as Rs 449. What if am cheated saying its original? Look for HP QR code. The QR code reader app can be easily downloaded on smart phone to determine the genuineness of the ink. What if I do not own a smart phone? You need not worry about it. Go to HP website and check for authenticity entering the code. HP also offers a door delivery of the inks, free of cost, within 6 to 8 hours on placing an order. You can place an order by dialing 1800-425-4999 or placing an order online here: https://h30042.www3.hp.com/SureSupply/?AppName=OACLanding&loc=in&lang=en. The website has set of instructions on choosing the printer, model. I would like to quote an example here. Every book has an ISBN code with the thick and thin lines. I recently installed Goodread app on my iPhone which would scan the ISBN bar code and display the title of the book. I scanned many books in my personal library and the title would populate within a few seconds and the title was always appropriate. Few years ago, I bought a fat book with 1000 pages-Gone with the Wind which had good print and strong bind. When I scanned the bar code, it returned an error saying the book was never found! The book was a counterfeit and I was under the impression that it was a genuine copy all these years. Apps like these help us to identify the originals. Many book publishers are now releasing the low cost edition books that are original and affordable for the avid book readers to own. Thus I conclude the topic saying: Always go for and encourage buying the originals. As a person who always dream of owning brand and a responsible citizen, always opt for genuine product and test for its authenticity so that you are not cheated. 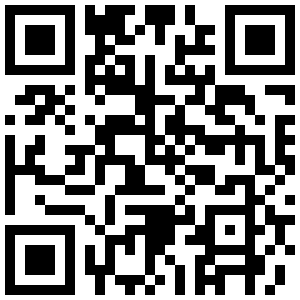 Scan the below QR code to test. The blogger meet was an interesting event with fun filled events like tweeting about the quote which your mother or father scolded, mime be it Mr. Potter or Chronicles, best pose for photograph, finding the complete quotes... The speaker from HP advising on the benefits of Original product Vs Fake. The admins who were always cheerful from the beginning till end of the end of the meet. Interesting gifts and high tea. Shoot any questions and they answer on the stage. Why this kolaveri di? Mr. Bharath from HP speaking on Original Vs Fake. Oh yeah, not to forget it was my second memorable Indiblogger meet. Thanks for the informative post! Very well written with analogies. Keep Blogging!